This topic contains 1 reply, has 2 voices, and was last updated by Billy 3 years, 4 months ago. I live in Worthing West Sussex, I used to nurse at the Eye infirmary, with a relative of Bill Howe, Yvonne who lives in Australia. I have recently bought a book about Coven and Coven Heath. I lived for a time at ‘Old Heath House, Coven Heath on the Stafford Road, near what was the Golden Ball, (Is it still there?) I’d love to hear from anyone who remembers me. Lovely to hear from you although I feel we have been in touch before. I did know some of my fathers cousins emigrated to Australia as did my sister in the 1960’s But I never met them. I always had a fondness though for The Golden Ball and visited it many times in the 50’s with mom and dad and if you check out my story (Specks on a Dusty Road part one) on the Howl. You will see the reason why. I will place your message on our Facebook Group ( Lost Wolverhampton) so it will get more local attention. There are a lot of Wulfrunians who recall the Eye Infirmary both in Chapel Ash and New Cross a wonderful institution whom Roy Stallard our local medical Historian keeps the memories of it alive with his varied talks and shows. Please keep in touch and certainly check out the Facebook group . 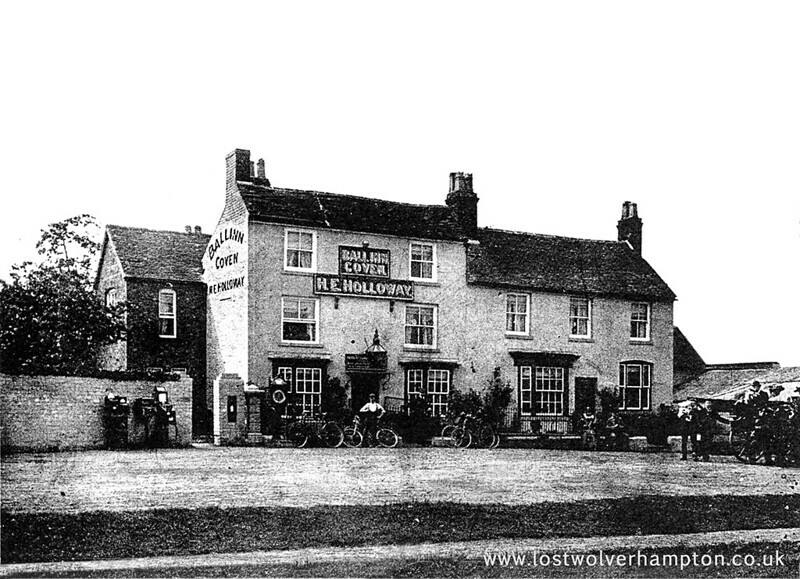 Here is a picture of the Ball at Coven, in the early Days – Today the Ball has gone and the site at Coven forms part of the junction of the M.54 motorway as it meets the Stafford Road.